Unemployment is high across the board in the Bay Area of the USA, but young people of colour are more likely to be out of work than any of their counterparts. Hack the Hood is a nonprofit that is helping youth of colour build on their everyday tech skills to train them in website development, giving these youngsters the opportunities they need to find jobs in tech. The young people are paired up with small businesses from the community who need help with their websites and social media. Teenagers live and breathe the internet – they’re on Facebook, Twitter, Instagram, Amazon, they use GPS on their smartphones and they blog – yet, as Hack the Hood CEO Suzan Mernit points out, many young people “think of themselves as consumers of technology but not producers.” They do not realise how valuable their knowledge of the internet can be, and high-salaried careers in IT seem out of reach to them. 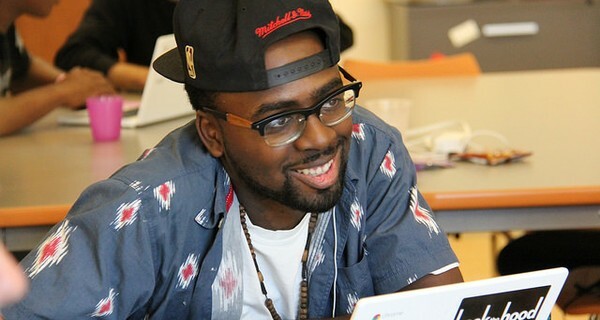 Hack the Hood offers six-week bootcamps to low-income young people of colour from the Bay Area, teaching the basics of web design, search engine optimisation, coding languages, online marketing and client communication. Volunteers with tech backgrounds offer advice and give talks on the industry, guiding the students in their projects with local businesses. At the end of the programme, the young participants are given a free Google Chromebook each. Hack the Hood has had significant support from Google, Facebook and eBay, and received a $500,000 grant through the Bay Area Impact Challenge. So far, 100 students have graduated from the programme, and by the end of 2015 that number will have doubled. The organisation plans to reach 5,000 youths and 25,000 small businesses in the next two years.